FC Platinum exited the CAF Champions League without a win in Group B after they were beaten 2-1 by Esperance de Tunis at the Barbourfields Stadium in Bulawayo on Saturday afternoon. Esperance got off to a great start and claimed the lead as early as the eighth minute, with Mohamed Meskini taking advantage of some sloppy play at the back from the hosts to put the ball in the back of the net. 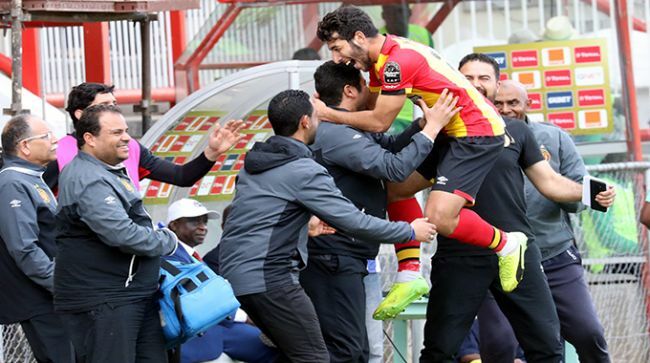 The hosts created a couple of half-chances with which to test Esperance goalkeeper Moez Ben Cherifia, but he was not unduly troubled through the first half, which ended with the Tunisian side still 1-0 to the good. Platinum made a change early in the second half, replacing Thomas Chidue up front with Charles Sibanda. The hosts looked much improved in attack and an equaliser duly arrived just after the hour mark, with Ali Sadiki making it 1-1. Yet if Platinum thought they were on course for their first win in the group, they were mistaken. The Blood and Gold reclaimed the lead on 83 minutes through a speculative shot from Adem Rjaeibi which never should have gotten the better of goalkeeper Petros Mhari.